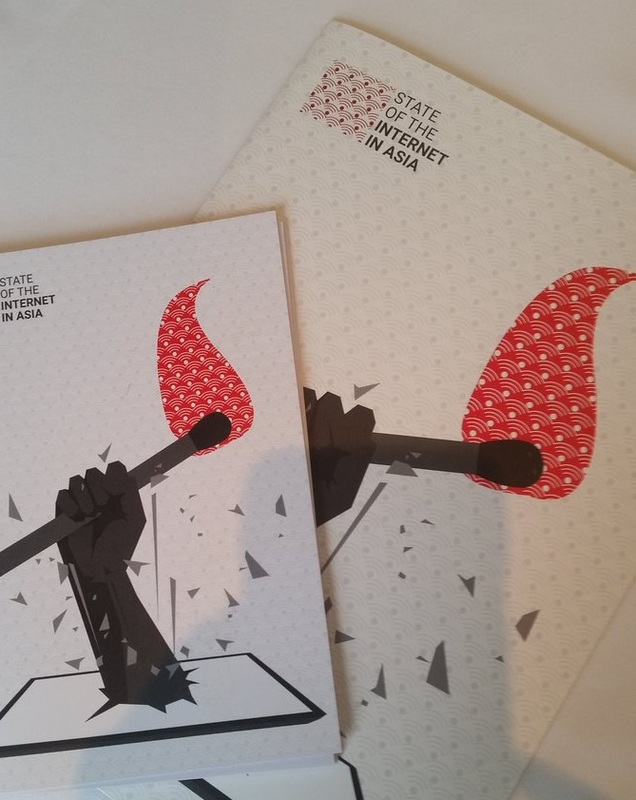 When it comes to internet rights in Asia, where is the wind blowing? Home / News / When it comes to internet rights in Asia, where is the wind blowing? In a region as vast as Asia, with a technology as multidimensional as the internet, and with rights which are universal and indivisible, what can be said about the intersection between these? With more than 50% of the global population living in Asia, the largest continent in the world, is it possible to identify commonalities that resonate across the region? Are there common challenges, trends, priorities and opportunities with regard to human rights online? If so, what are they and what can be done about them? These are the questions that representatives from more than 50 civil society groups from across the region discussed over two and a half days (4-6 October) in Bangkok, Thailand, last week. They were joined by David Kaye, the UN Special Rapporteur on the promotion and protection of the right to freedom of opinion and expression who, in his keynote address, outlined some of the main intersections that characterise the digital and human rights landscapes. This may not be new, but the problem is only intensifying in Asia, with those who exercise their right to online speech and expression often receiving harsher penalties (whether for tweets, Facebook posts or WhatsApp messages) than for non-internet-based communication. This is prevalent across the region, with India, Pakistan, Thailand, Cambodia, Malaysia and Myanmar all prescribing harsher penalties for online offences. The number of cases where blasphemy, sedition, lèse majesté, defamation, obscenity and hate speech laws are applied in excessively broad and inconsistent ways is rising – particularly when the right to freedom of expression is exercised on social media. For instance, in Pakistan, provisions surrounding blasphemy are routinely used to curb freedom of speech and expression, with serious on-ground consequences. In India and other countries in the region, obscenity provisions are used to target legitimate forms of sexual expression. Art and artistic expression are also increasingly under attack in the region, with the criminalisation of humour leading to a chilling effect on expression. This also means that vulnerable groups (such as women and people with protected characteristics including religious, ethnic and sexual minorities) do not receive adequate support or justice when their rights are infringed. In particular, women face widespread harassment online, with no effective legal recourse, resulting in their withdrawal from online spaces, particularly in countries like Malaysia. Legitimate political dissent and expression are punished not just through the use of the laws cited above (which pre-date the internet) but also through the promulgation of new legislation purportedly to address, for example, cybercrime and cybersecurity threats, but where the national security argument is instead used to justify the censorship or criminalisation of speech. In just the past year, disappearances of media workers, deaths of bloggers and journalists, and harassment of online reporters have been further compounded by the removal of content and the shutting down of websites, webpages and other forms of online communication across the region. The number of network shutdowns has also skyrocketed in the past two years in countries across the region, purportedly for reasons of national security, but not meriting measures as excessive and disproportionate as a network shutdown. Moreover, the legal and judicial processes often themselves constitute a form of punishment for those allegedly falling foul of the law. Impunity is one of the main challenges across the region. When people exercise their rights to freedom of expression online – whether through satirical art or in-depth research and analysis – they can be faced with both threats of violence and physical violence. As was noted in the session dealing with religion and expression online, mobs are unleashed or allowed to perpetrate violence against individuals for opinions that may be perceived as touching upon religion or religious sensitivities. Another challenge is the legal and judicial harassment of individuals for expressing political dissent online, including through the use of humour. The silence of government authorities seems to provide tacit approval for such actions. There is also an increasing trend for governments to collude in tracking and cracking down on human rights defenders across borders in the region. Moreover, it is becoming common for governments to employ "cyber-armies" or trolls which spread propaganda and curb dissent. For instance, governments in states such as Malaysia and India now mobilise troll armies, directing them to go on the offensive against dissenters and opposing voices. Almost all countries in the region are experiencing crackdowns on NGOs and civil society voices. ICTs have fundamentally altered the way civil society carries out its functions. For example, in Cambodia, the tense political situation surrounding the upcoming elections has seen troublingly widespread attacks on all forms of civil society, including arrests of activists and crackdowns on civil society organisations over the past two months . In other countries in the region as well, the conflation of religion with nationalism and propaganda have resulted in an increase in the threat to life and free expression of citizens. In India, for instance, NGOs which have opposed the biometric ID system, Aadhaar, on account of concerns around privacy, have faced harassment and intimidation. These trends may point to the wind blowing in the direction of greater repression of rights online in the region, clearly mirrored by broader political developments in some countries, like Cambodia and Thailand, which are weakening democratic and rule of law institutions. But on the last day, the groups discussed the ways in which these trends can be reversed, using existing mechanisms and coordinating for more impactful action. They discussed the avenues open at the national, regional and international level for holding their governments to account on their human rights obligations, and also for ensuring that social media platforms adequately fulfil their obligations to users. These included engaging in UN mechanisms, such as providing inputs to the reports of Special Rapporteurs, advocating collectively on issues common to the region, sharing research and advocacy tools, etc. The responsibility of platforms for the increasing presence of hate speech online, and of violence against women and persistent harassment of minority groups, which go largely unaddressed, was also noted. It was agreed that it is critical to engage as a regional voice, in addition to local or country engagement, in policy spaces including the UN, and participants identified specific opportunities to do so and collectively agreed to facilitate this joint input over the coming months.